Placed fifth with a time of 15:46.69 at the Georgia Tech Invite… finished in 14th place in the 500 at the Bulldog Last Chance invite with a time of 4:32.86…also took 11th place in the 1650 Free with a career best time of 15:34.60. A member of the Indian River State College Swim Team for his freshman and sophomore years…was a 2011 NJCAA All-American in the 200, 500 and 1650 free… contributed to two NJCAA team national championships…was an individual champion in the 200 free at the NJCAA’s in 2011…was a member of the national championship 800 free relay in 2011. Was a member of the Northside Christian High School swim team…was an All-American in in the 500 free in 2009…holds the 100 fly, 200 free and 500 free school records and is a part of three relay NCHS records. 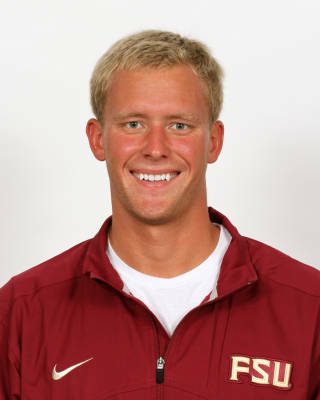 Born March 31, 1991…son of James and Lisa Akker…graduated from Northside Christian High School in 2009…is a member of the WFLA where he competed at Junior Nationals in 2008 and 2009.